The other night, Matt and I watched the movie "Paul." Have you seen it? The one about two british comic book lovers who came across the alien Paul, who's voice is done by Seth Rogen. 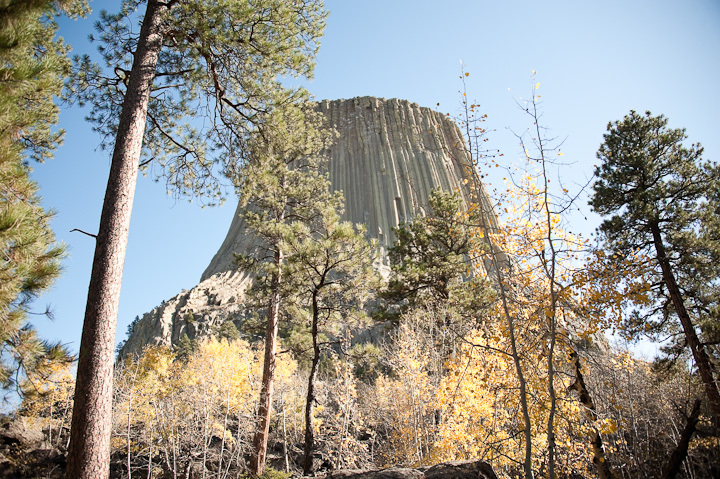 The movie was not one of my favorites, but the end of the movie took place at Devils Tower! 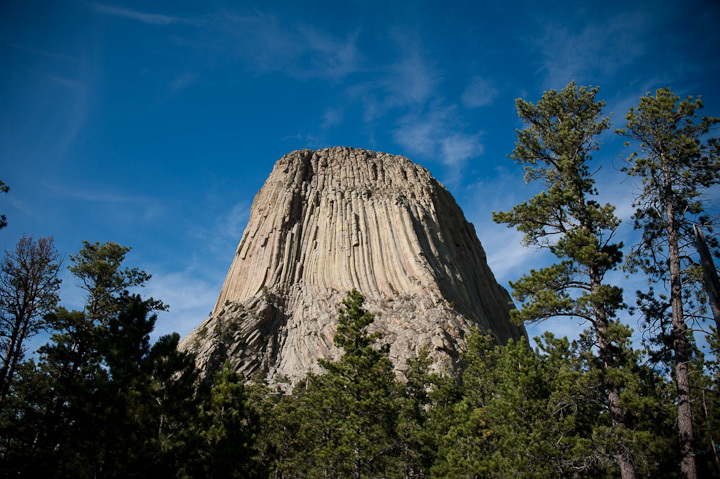 This was my third time going to the Devils Tower National Monument in my lifetime. The first was on a sunny day when I was maybe 10 or 12? The second was during our 2009 road trip but it rained the whole time so Matt and I looked up at the tower from under an umbrella for 3 minutes and then went back into the car and left. This time, we wanted to explore. We wanted to walk around the base of the monument and see it from all angles. 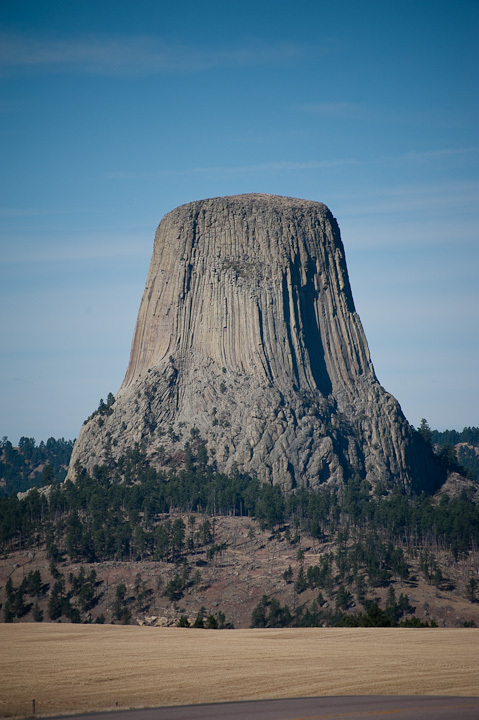 Devils Tower is actually in the upper eastern corner of Wyoming, nearing Sundance. On our drive there from Rapid City, the sky went from bright blue and clear to a depressing heavy gray. 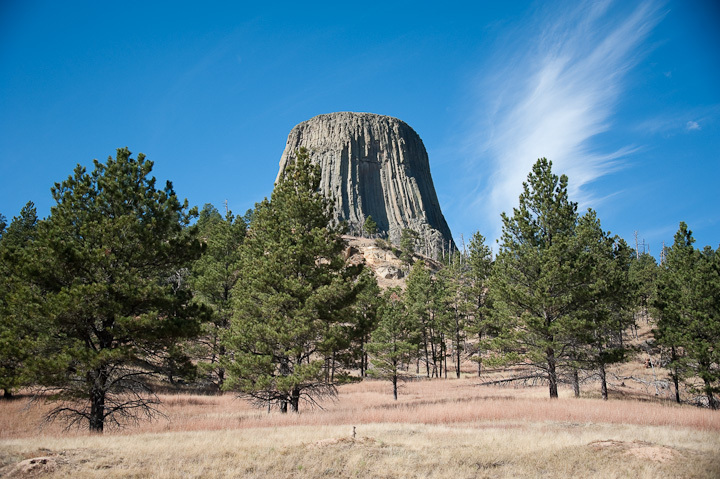 I was getting madder by the minute, thinking that our trip to Devils Tower was going to get rained out again. 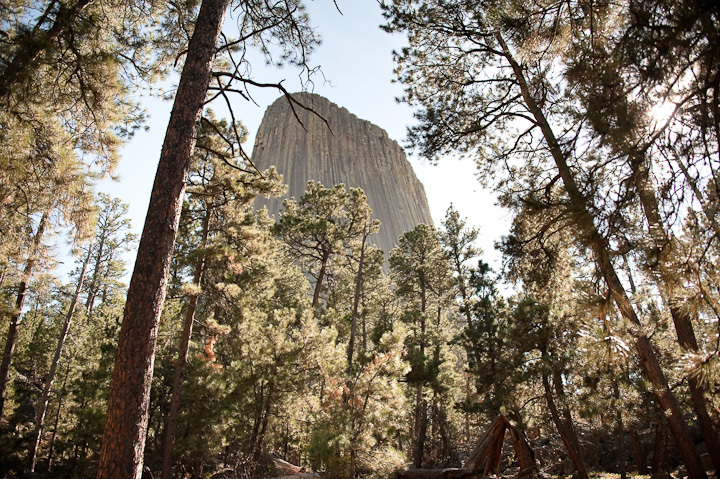 Thankfully, the rain storm seemed to skirt north of us and we were able to enjoy Devils Tower in the sunshine! 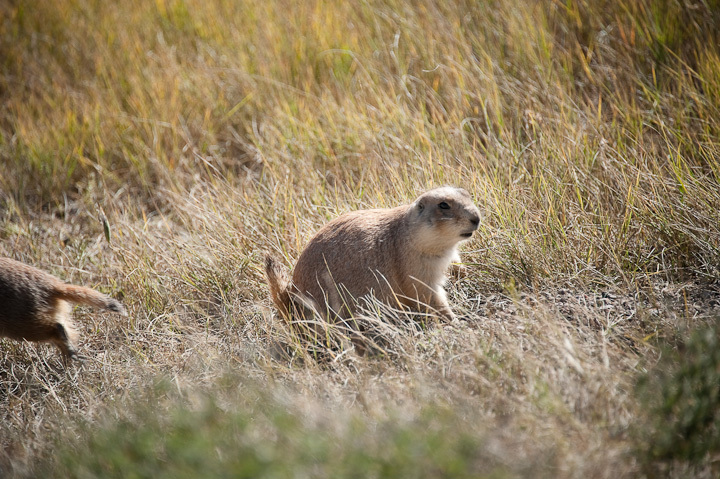 Complete with a Prairie Dog Town on the way to the base of the monument and a walking path around Devils Tower itself, it's a great place to visit and spend the afternoon. 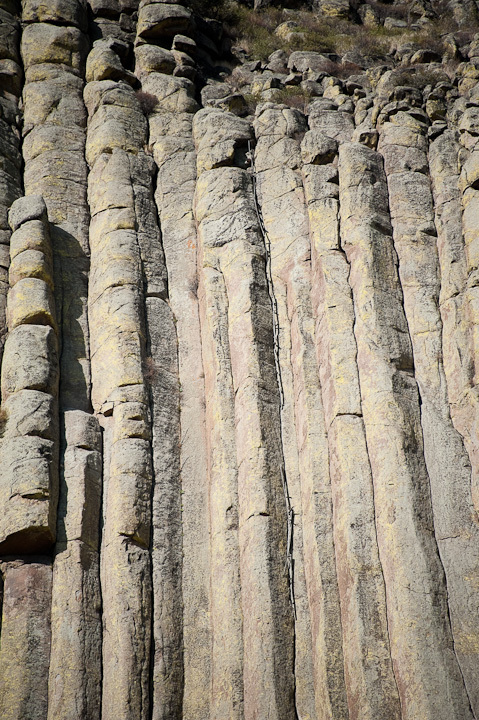 The photo below shows the handmade ladder that the first two climbers of Devils Tower constructed to get to the top. See it running vertically in the crack between the columns in the center of the photo? Can you imagine climbing the tower on that????? Absolutely no thank you. 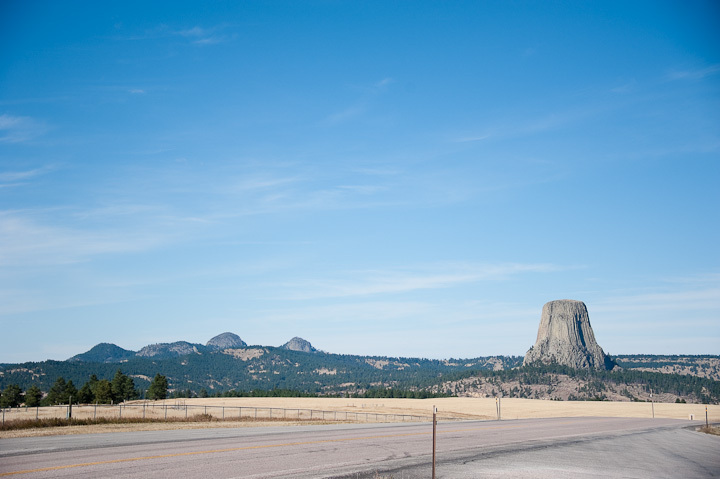 After Devils Tower, we stopped at a gift shop to get a few souvenirs. Then, we took the long way back to Rapid City, through a couple of old towns from the gold rush and coal mining days. The photo below is an old coal tippet, which was used in to mine and sort coal. 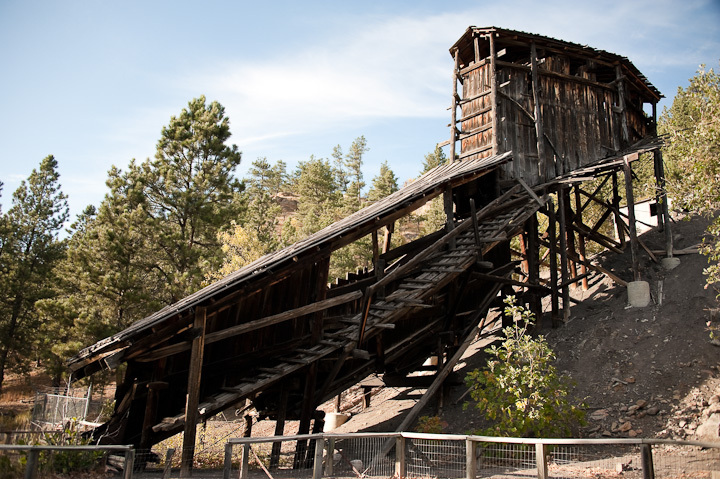 Although sagging, leaning and tired-looking, it still stands much like it did when the coal mine was active. The town of Aladdin, according to the sign, has a population of 15 people. I have to say I'm a bit skeptical because there were several houses/farms around the sign and I'm guessing more than 15 people inhabited those homes. But what do I know. Maybe the city limits are right around the general store. 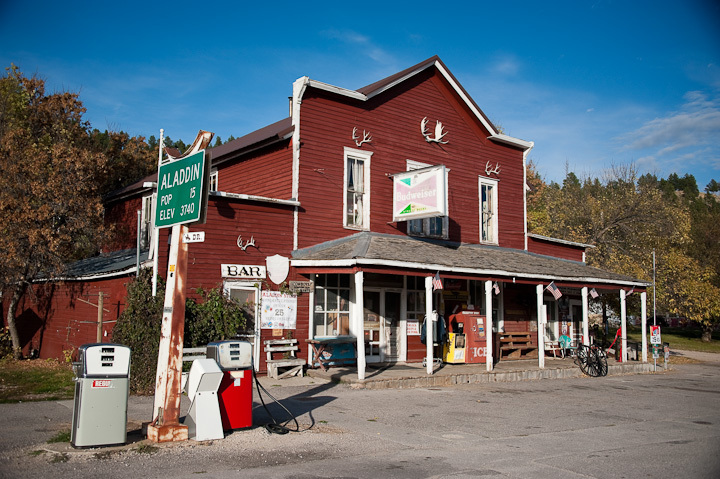 Anyway, the Aladdin General Store is over 110 years old. It has been in that same place and stood much like it is now since 1896. 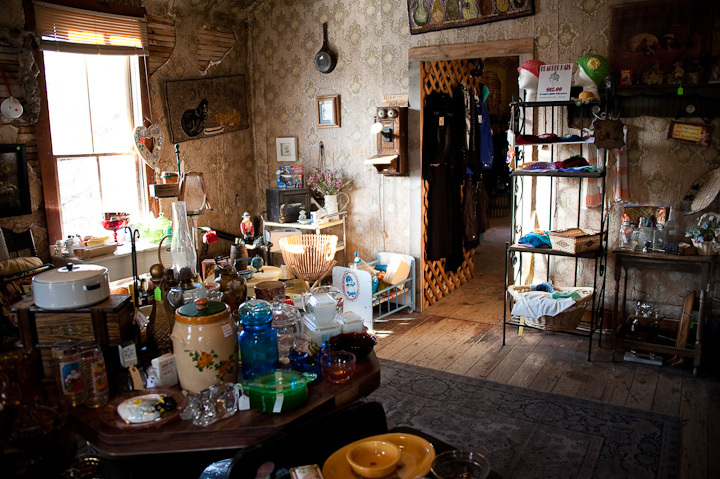 It is still a functioning general store/gift shop with an antique store in the upper level. 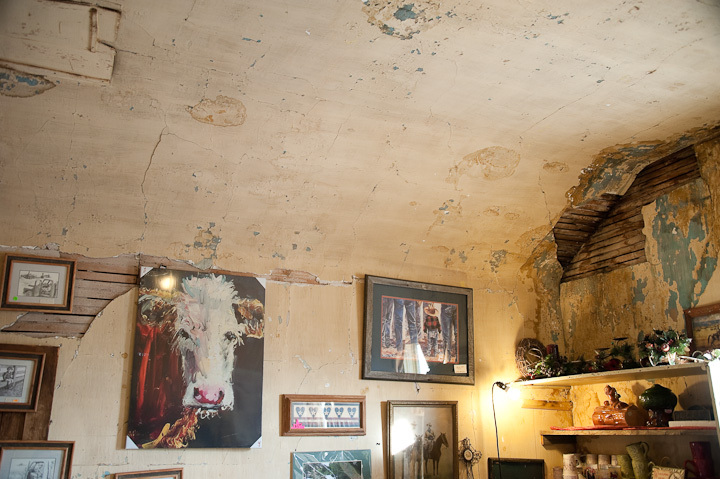 The upstairs of the general store fascinated me. Not the antiques so much. 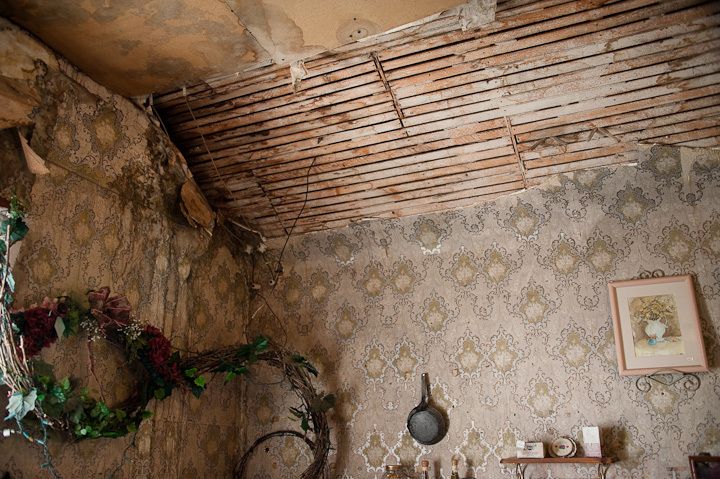 But the soiled and peeling wallpaper, the water spots on the roof, the old creaky floors. I didn't ask for sure and I can't say with any amount of certainty, but it sure looked like the original decor to me. It looked like it was still the same wallpaper and flooring it had when it first opened over a hundred years ago. If the walls could talk, I wonder what stories they could tell. It's easy for me to look at the sights from the car, and pull off the road to take some photos when a scenic overlook comes along. But the little gems like this general store are places that require going inside, looking around, and being open to what we'll find inside.